35UC is the skin-change version of 35SP. The difference between 35UC and 35SP is only exterior design. The feature of function is completely identical. 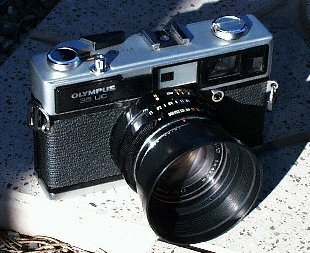 35UC is absolutely rare camera in used camera market. 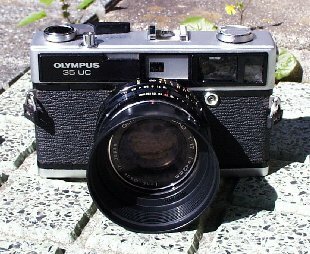 This one in the picture is the complete with Olympus original lens hood for 35SP/UC. Impression is same as that on 35SP. 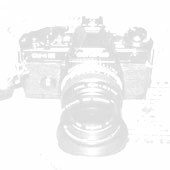 Mechanical lens shutter. Program AE or manual exposure. Zuiko 42mm f1.7, 5 groups 7 elements. Start of sales : October 1973.